Celebrating Public Domain | Back to Basics Learning Dynamics, Inc. The answer to all of those question is a clear yes as of the new year. These works published in 1923 are now free for all to use and remix without permission or fee, according to the Center for Study of the Public Domain. Prior to 1998, the copyright term was 75 years for works copyrighted before 1978. But in 1998, President Clinton signed the Copyright Term Extension Act, which retroactively extended copyright protection to 95 years for works copyrighted in 1923 or afterward. This means that new-old works haven’t entered the public domain in 20 years. Of course, even before January 1, 2019, educators could share excerpts of these works and claim fair use. The fair use doctrine permits excerpts of material that is protected by copyright to be used for education, research, criticism, or journalism—and not for profit. But in the internet age, what happens when teachers sell lesson plans on the internet that contain copyrighted content? Or when students publish videos on YouTube that contain protected music? Copyright law is complex, still evolving, and incredibly fascinating to those of us who geek out over using primary sources to teach. Check out this super-helpful guide from “Ditch That Textbook” on 14 Copyright Essentials for Teachers. 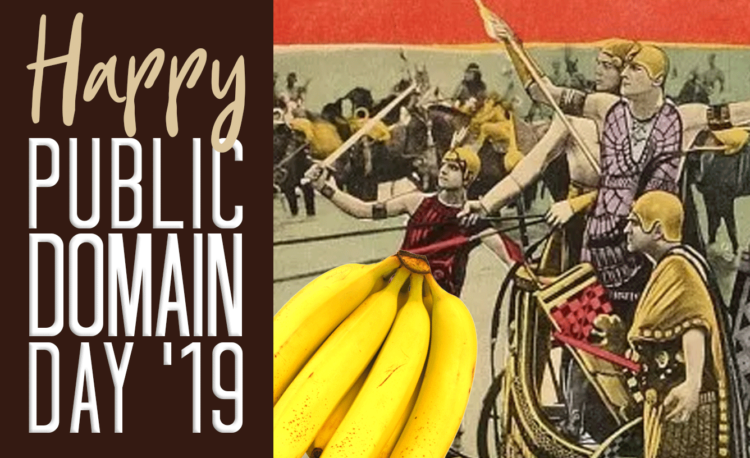 And sing along with us in celebration of Public Domain Day 2019. It’s catchy!